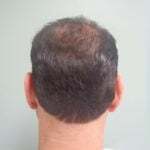 Surgical hair restoration for men can be a boost to your self-confidence and start a new chapter in your life. And, hair transplant surgery for men has never been more accessible than with the most experienced hair transplant surgeon in Oklahoma City. Appearance counts. Research shows that we form an impression of people within a few seconds. 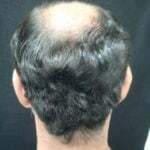 If you are a man suffering from hair loss, these seconds can feel very long and difficult. If your hair loss troubles you, it can affect your social life, your love life and even work. Don’t let thinning hair stand between you and the partner of your dreams or the promotion of a lifetime. Reclaim your confidence with a hair transplant. After recovering from your hair transplant surgery, you’ll eventually see a new person emerge in the mirror: the younger-looking, revitalized version of yourself, free from the self-consciousness that comes with male pattern baldness. For Oklahoma City men, this hair restoration solution is just a phone call away. We are among the most affordable hair transplant providers in Oklahoma City and across the U.S.
Dr. Love has nearly three decades of surgical experience, an impressive list of medical credentials and a talented medical support team. Our customers’ reviews and testimonials speak for themselves. Contact Dr. Love’s office in Oklahoma City today to learn more and schedule a consultation with one of the most experienced hair implant surgeons in the business! Call us at (866) 751-LOVE (5683) today.